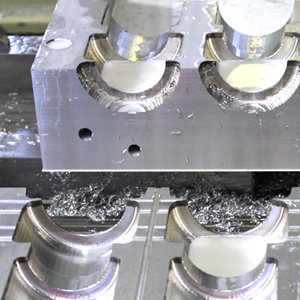 We can handle virtually any machining operation from milling (from very small to 5-axis 4×2 m), turning (up to 6 m), zinc and wire spark erosion, to surface, cylindrical and profile grinding – all under one roof. This eliminates logistical problems and means we can guarantee short delivery times. Our close working relationship with dexter MT and Ten Vaarwerk also offers plenty of benefits.